Plot data grouped by a different category. 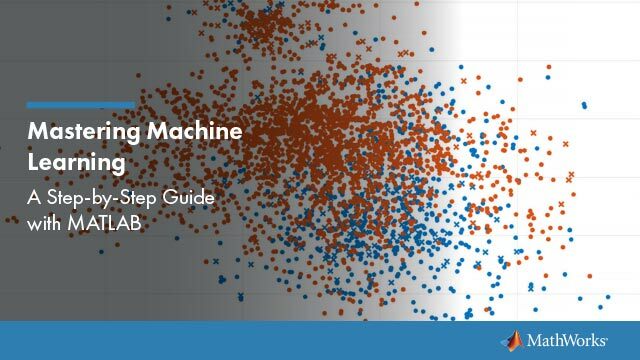 This example shows how to perform panel data analysis using mvregress. First, a fixed effects model with concurrent correlation is fit by ordinary least squares (OLS) to some panel data. Then, the estimated error covariance matrix is used to get panel corrected standard errors for the regression coefficients. Load the sample panel data. The dataset array, panelData, contains yearly observations on eight cities for 6 years. This is simulated data. The first variable, Growth, measures economic growth (the response variable). The second and third variables are city and year indicators, respectively. The last variable, Employ, measures employment (the predictor variable). 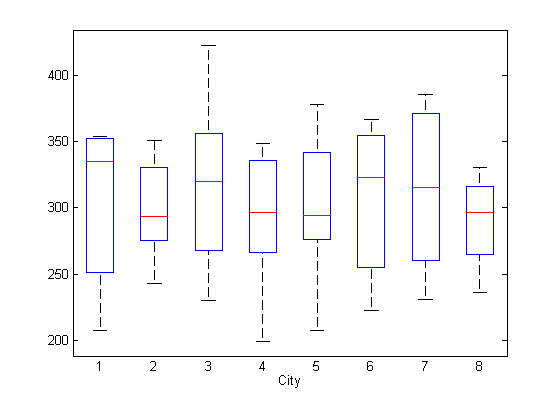 To look for potential city-specific fixed effects, create a box plot of the response grouped by city. There does not appear to be any systematic differences in the mean response among cities. 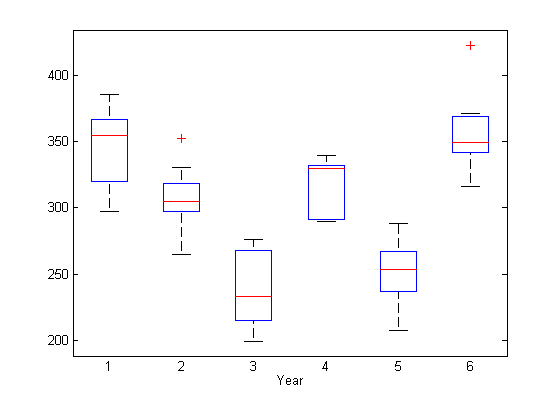 To look for potential year-specific fixed effects, create a box plot of the response grouped by year. Some evidence of systematic differences in the mean response between years seems to exist. Let yij denote the response for city j = 1,...,d, in year i = 1,...,n. Similarly, xij is the corresponding value of the predictor variable. In this example, n = 6 and d = 8.
where εi=(εi1,…,εid)′∼MVN(0,Σ). The concurrent correlation accounts for any unmeasured, time-static factors that might impact growth similarly for some cities. For example, cities with close spatial proximity might be more likely to have similar economic growth. To fit this model using mvregress, reshape the response data into an n-by-d matrix. Create a length-n cell array of d-by-K design matrices. For this model, there are K = 7 parameters (d = 6 intercept terms and a slope). The design matrices for the remaining 4 years are similar. 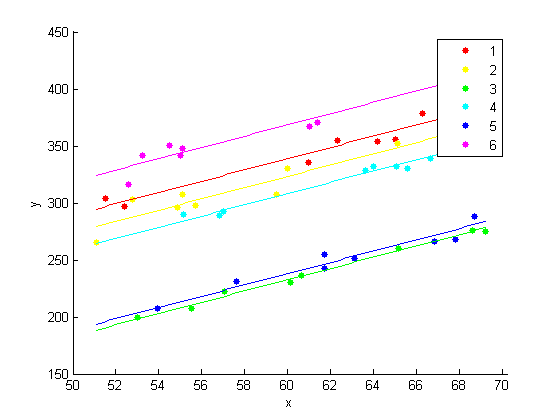 Fit the model using ordinary least squares (OLS). The model with year-specific intercepts and common slope appears to fit the data quite well. 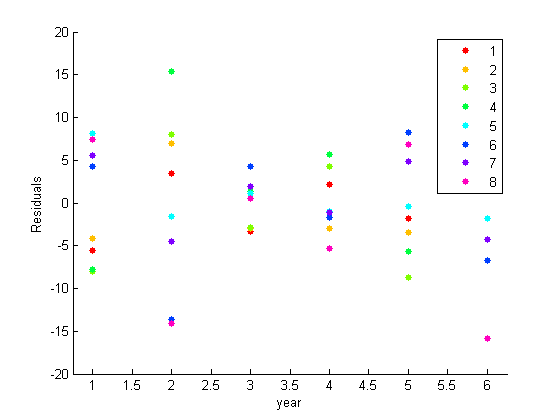 Plot the residuals, grouped by year. The residual plot suggests concurrent correlation is present. For examples, cities 1, 2, 3, and 4 are consistently above or below average as a group in any given year. The same is true for the collection of cities 5, 6, 7, and 8. As seen in the exploratory plots, there are no systematic city-specific effects. Use the estimated error variance-covariance matrix to compute panel corrected standard errors for the regression coefficients.